SalzburgerLand has many unique stories to tell – on mining, wars, life and art – which you can find in the cultural city of Salzburg as well as throughout the entire province of Salzburg. From dolls to knights, from minerals to marine life, from beer to the DomQuartier. Discover first-class museums in SalzburgerLand! Don't forget to take your SalzburgerLand Card. Ski Museum, Werfenweng: The Austrian national sport naturally deserves its own museum. The FIS State Ski Museum is located in Werfenweng and has a sporty and peculiar exhibition. You can find out everything you need to know about these two planks of wood, which mean the world to many people here, e.g. how the sport and equipment developed, the different skiing styles, the current situation and the greatest Austrian skiers. Silent Night Museums: Franz Xaver Gruber and Joseph Mohr changed the world with just one song. Several museums in SalzburgerLand document the different stages of their lives, impressively transporting you back 200 years in time. Celtic Museum, Hallein: The Celts mined salt on the Dürrnberg plateau in the first millennium B.C. and excavations have shown that it brought great prosperity. The Celtic Museum in Hallein has some of the greatest treasures of the Celtic period in all of Europe on display. 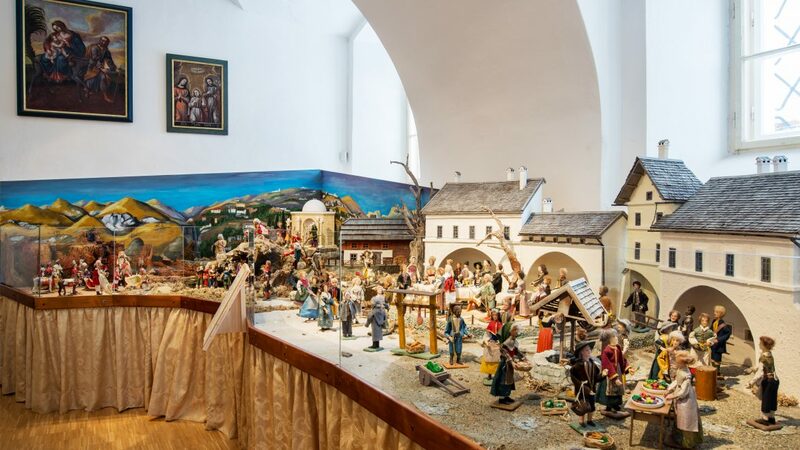 The City of Hallein Museum and the Silent Night Museum are also next door. Open-Air Museum, Grossgmain: A very beautiful “museum” that stretches 500,000 m². Split into five historic regions, the heritage railway will take you on a journey through time, showing what life has been like in SalzburgerLand in the last 500 years. Some buildings were even dismantled and reconstructed here. These buildings have been faithfully reproduced, down to the very last detail, and you can go in and walk through them. Thanks to a children’s playground and child-friendly attractions, this museum in Grossgmain near Salzburg is the perfect place for families to visit. National Park Centre, Mittersill: Simply enjoy the beautiful natural surroundings in the largest national park in the Alps. Marble Museum, Adnet: Adnet marble was used in religious and secular buildings throughout Europe. You can even see where it has been used in Salzburg, e.g. the Castle and St Peter’s Abbey. Local history museums: You will find a local history museum in every district, in Altenmarkt for example or in Mauterndorf Castle. Museum Burg Golling: Temporary exhibitions are held here every year, but you’ll find the permanent fossil and clock collections just as exciting. Doll’s House Museum, Hintersee: Visit the “big world of small things” in Hintersee with 35 doll’s houses. Vehicles: Car lovers should visit Vötters Vehicle Museum in Kaprun and Ferdinand Porsche’s fahr(T)raum Museum in Mattsee and marvel at engineering art twice. “Ore, Gold & Minerals” can be discovered in the historic copper mine at Larzenbach. Bramberg Museum: You’ll be fascinated by the huge emeralds and crystals in this museum in SalzburgerLand. If you want to discover the city of Salzburg’s rich heritage, then go to DomQuartier, the cathedral district. The newly designed tour will take you through the ceremonial rooms in the residence and parts of the cathedral. 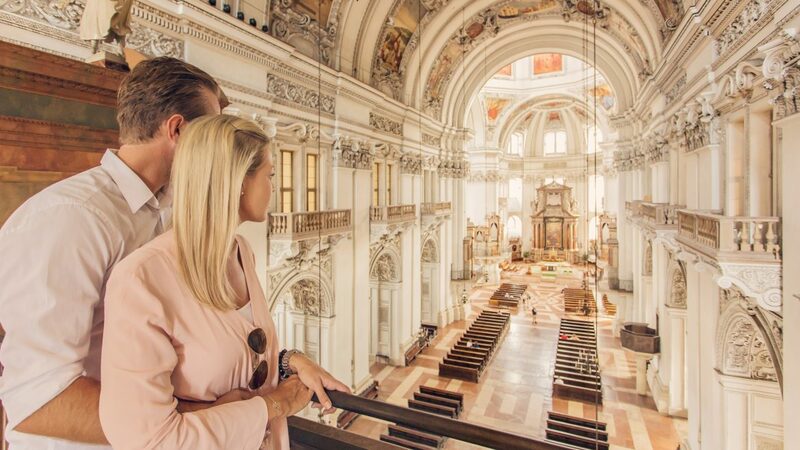 The museum opened in 2014 and has more than 2,000 exhibits that provide a deep insight into the centuries-old history of the archbishops of Salzburg. But if you’d prefer to see something more contemporary, then simply visit the Museum of Modern Art on Mönchsberg or stroll through town and stop by the Salzburg Museum, the Rupertinum or one of the smaller galleries. Toy Museum: Kids don’t know where to start whereas parents take a trip down memory lane when they see toys they haven’t played with in decades. The Toy Museum in the historic centre (next to the Horse Pond) is definitely not just for children. House of Nature: You’ll also come across the Haus der Natur in the historic centre, the ideal place to go for kids and nature lovers of all ages. From dinosaurs to the large aquarium world through to the geological development of SalzburgerLand. And the new experiment area has even helped some visitors finally understand a few laws of nature. Stiegl-Brauwelt: To round off a perfect day in Salzburg, head off to the brewery that boasts a fantastic view over the entire historic centre and enjoy a beer where they have been brewing beer for more than 500 years. This is the ideal place to come to if you want to know what Stiegl beer is all about or simply want to taste this delicious hop and barley juice. The SalzburgerLand Card will sweeten your visit to many of these museums in the city and province of Salzburg. You can visit 190 sights and attractions with just one card. Order the visitor’s card online.